We are excited to announce new hires to the Senior Leadership Team at Pace. They will be instrumental in Pace’s success for 2019 and beyond! Susan Moss will be joining Pace as the Director of Sales leading the Sales Team. Susan will report to Chuck Moyer and will be a member of the Senior Leadership Team. In this role, Susan will focus on positioning the company for new business in 2019. Susan will primarily work out of our Bessemer Corporate Office. Susan is an alumna of Union University in Jackson, Tennessee with a degree in Organizational Leadership. 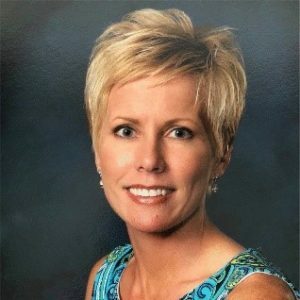 Susan started her sales career with Sun Microsystems as a Service Sales Executive whereby she assumed positions of increasing responsibility leading up to her transitional promotion to Account Executive for Consonus Technologies. Diversifying her career, Susan accepted a position as Manager of Professional Services for IKON Office Solutions. At IKON, she managed a team of 13 people including 6 sales people, 6 sales engineers and the manager for back office document management processes. She was instrumental in growing sales and improving service to her customers in a very challenging market. In 2009, Susan accepted an opportunity as National Account Representative for the LSO Regional Shipping Solutions. Working in a fast-moving environment, Susan built strong relationships with all cross functional partners, helping to grow, sustain, and improve exceptional business partnerships and customer service relationships. She continued that pace until leaving LSO in late summer. Throughout her career, Susan has received awards and recognition for exceeding sales quotas. At Consonus, Susan was recognized as Rookie of the Year for exceeding the company’s sales goals. In 2017, Susan was awarded LSO’s Sales Person of the Year for personal sales exceeding $4.5 million. She has a track record for exceeding the sales quota at each of the companies she has been with. David Carter will be joining Pace as the Director of Courier Operations leading the Central Dispatch Team and overseeing the operations of Pace’s courier business. David will report to Chuck Moyer and will be an active member of the Senior Leadership Team. In this role, he will work closely with Kevin Proulx and the Operations Teams as well as with the Sales Team. David will primarily work out of our Lithia Springs location. David is a graduate of Georgia Southern University and has had a 20+ year career in the logistics industry. His career began in Sales and Management where he had a successful tenure for over 20 years. Diversifying his career, David transitioned into the logistics industry starting as a driver. David has now worked in the logistics industry for 23 years, spending the last 19 years at Antech Diagnostics, North America’s largest provider of reference laboratory services. 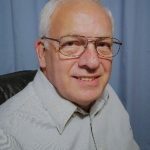 During his career with Antech, David was instrumental in the development and management of the national dispatching system. He started, and oversaw much of, the transformation from employee drivers to contracted couriers. Following the company’s reorganization in 2008, David assumed the role of Regional Transportation Manager overseeing nine southeastern states and eastern Canada. Please join me in welcoming Susan and David to the Pace Family! We are excited for the future of the company and to grow and develop Pace with these new additions.